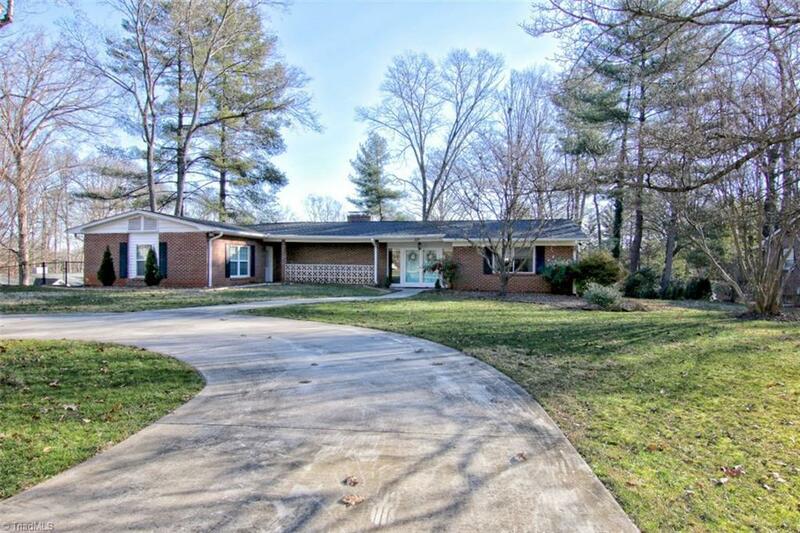 223 Nordwin Drive, Winston Salem, NC.| MLS# 913965 | North Carolina Farm and Vineyard Specialist Patria Properties Inc.
Beautiful ranch home w/tons of space. Hardwood floors throughout majority of home w/updated kitchen & baths. Kitchen has tile floor, granite, tile back splash, & soft close drawers. Sizable LR with HW Floors, stone fireplace, gas logs & recessed lighting. Huge sun room w/tile floor & ceiling fan to soak up the sun. Family room/office w/exterior doors that could be used as 4th bdrm. Unfinished basement, partially fenced yard, 2nd driveway leads to 2 car garage parking. Large Storage building w/electrical.